Cindy Ofili is getting ready to take on world record-holder, Kendra Harrison, and Olympic silver medallist, Nia Ali, among others in the 100m hurdles in the first Diamond League meeting of the season in Doha on Friday. Having graduated in education at the University of Michigan, Ofili is now a full-time athlete and is enjoying the new lifestyle. “I now have a lot more time to train,” she says. “Now I can pay attention to rehab and recovery and all those things I have to do to keep my body right and ready to compete. Based in Michigan, she trains with her older sister, British 100m hurdles record-holder Tiffany Porter, and her brother-in-law, Jeff. With Jeff having just completed his PhD, Ofili is training with, as she puts it, “a family of doctors”. 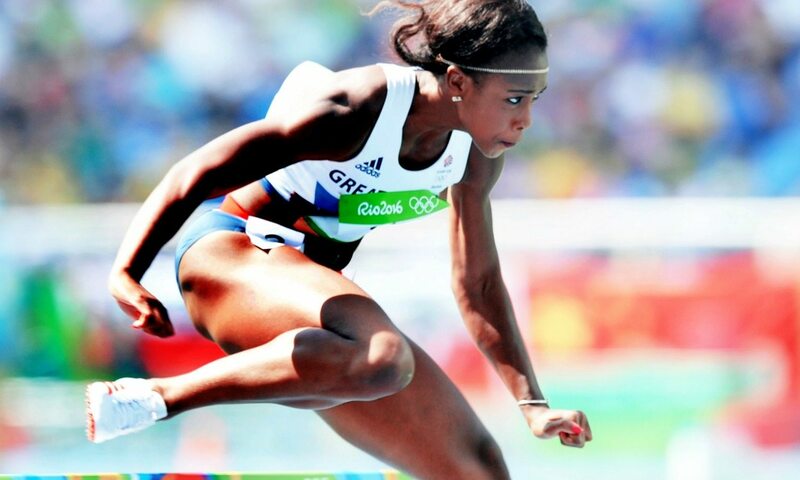 Ofili had planned to have a full indoor season, including the Europeans in Belgrade, but picked up an injury. Recovery was slower than she had hoped but she is now firing on all cylinders. Training is going well and she is pleased to be in a supportive environment. Ofili made a big statement at the Olympics in Rio, coming fourth in 12.63 just two hundredths of a second behind USA’s bronze medallist Kristi Castlin in what she calls “a bittersweet moment”. But she took lots of positives from the experience. “It was hard to just miss a medal but at the same time it showed me what I am capable of and showed I had the potential to compete against the best in the world,” Ofili says. “There is no doubt in my mind that I am at the point where I am capable of competing at the highest level. Another important focus for Ofili in 2017 is “enjoying the moment”. She comes across as a very level-headed athlete. Add that to her immense talent and there could be quite a number of moments in 2017 for Ofili to enjoy. PreviousBreaking2: Will the marathon barrier be breached?